Many say you should stick with stock sizes since the bike was meant to ride certain size tires and anything else upsets the handling. 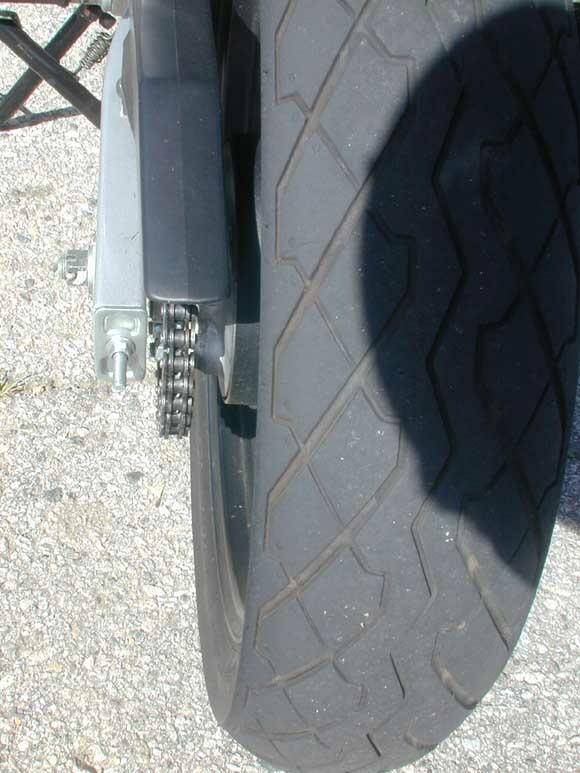 it is suggested that a 130/70 is sufficient on the rear for this bike. Many tires run by various people are not approved by manufacturer for our narrow rear wheel. You run different size tires at your own risk. That said, there are plenty that run 140/70, 150/70 and 150/60 tires on rear and love them. The people I have talked to do not have any handling complaints. Once you get into the 150 series you open yourself up to lots of really good racing/super sport rubber. 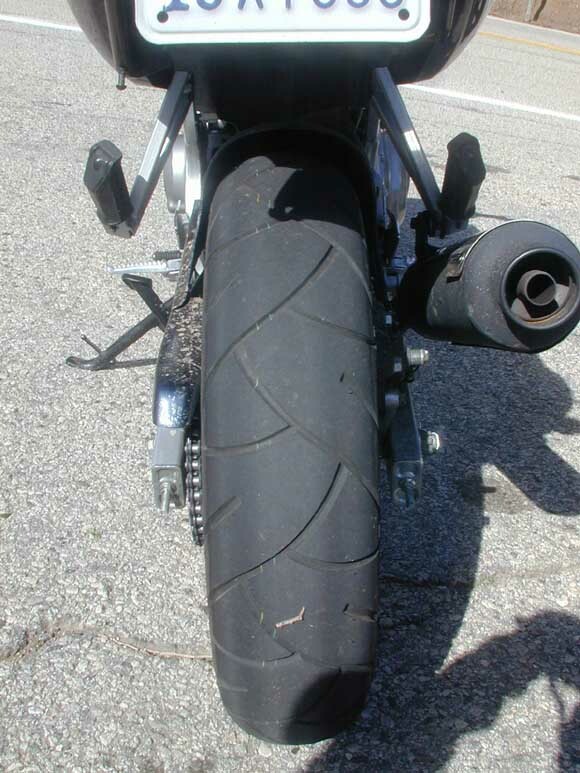 Once I need to replace mine I'll likely go with either Metzeler Sportec M-1 150/60/17, which coincidentally ends up with a width of ~143mm and an overall diameter only 5mm bigger than stock, or Dunlop D205's. These are for sticky rubber not for having a really wide looking tire. A 150/70 will do that better and will *just* fit inside the brake stay bar. 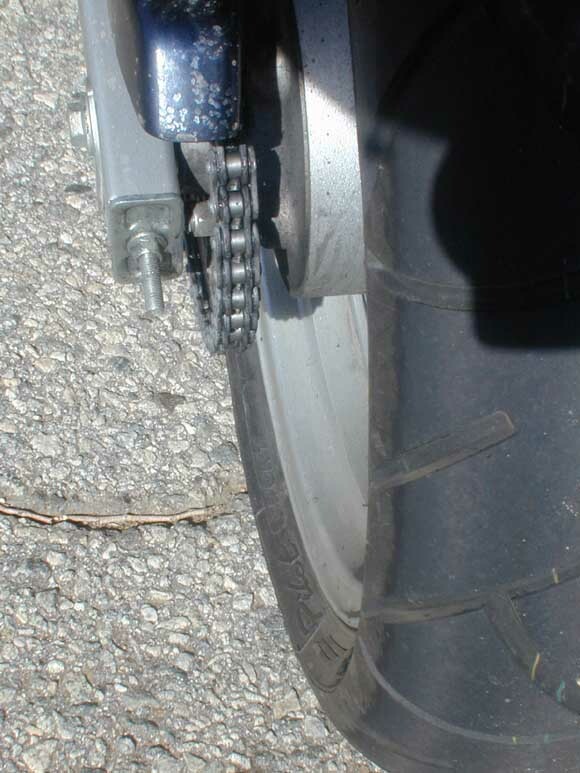 For more info on (easily) installing a GSXR rear brake stay for more clearance see the bandit rear wheel install page. Nothing in particular to note about the front except that changing the size will likely alter your speedo reading (like it was ever accurate). One rider installed a 120/70 front and mentioned it barely cleared hardware. This from David R. Johnson, GS500 racer and contributor to Gstwin.com. 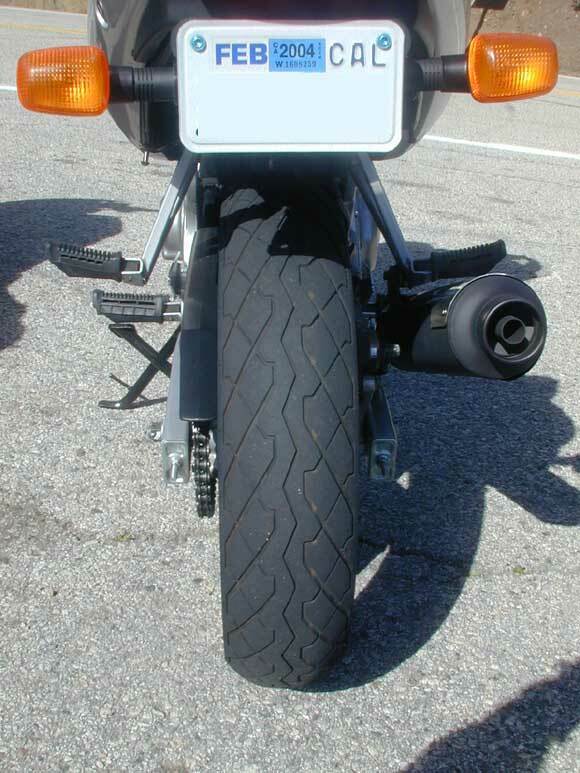 For racing, the front tire size is the same as stock (110-70-17). For the rear, most people I know use 150-60-17s (stock is 130-70-17). The fitment guide will tell you the rim is too narrow for this tire. It is, but it does not result in bead failure, even under extreme racing conditions. It does modify the profile enough so that it impossible to get all the way to the edge of the tire. I can live with it. I once tried the other racing tire choice (Metzler 140-80-17) and hated it. It is taller tire than stock and a non-radial. The bike steered like a cow, flopped unpredictably into corners and felt very top heavy. When I switched to the 150 radials, I almost drove off the inside of the track because it turned so fast. Race rubber is available from Michelin (Pilot), Metzler (ME Z3), and Pirelli (Dragons) in sizes 110-70-17 and 150-60-17. I have ridden the Pilots and ME Z3s back to back, and could not feel any difference. One might assume that the Dragons are similar to the ME Z3s, since the Pirelli and Metzler are the same company, but the Dragons cost more. Special thanks to gsjack (resident tire expert) and many others from GSTwin.com as well as those on motorcycles.about.com forum.